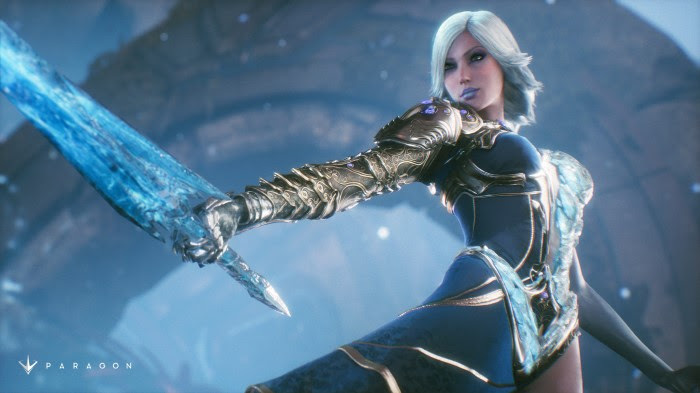 Keeping up with its tradition of a new hero every three weeks for Paragon, Epic Games have revealed their latest threat – the crowd-control specialist Aurora who’s capable of using ice to smite her foes. Check out her moveset below. Aurora has three basic abilities: Frozen Simulacrum wherein she leaps towards a target with an ice clone left at her original location; Glacial Charge, which sees her propelled forward on an icy trail, causing damage, pushing foes aside and blocking projectile attacks; and Hoarfrost, which creates a ring of ice that damages and roots enemies caught in the radius. Her Ultimate is Cryoseism, an earthquake of ice that freezes enemies and then explodes. This causes a large amount of damage while the effect can spread to nearby targets. Aurora will be available on January 31st for free so you can find out how devastating she is for yourself. It should also be noted that from January 27th onwards, PlayStation Plus members can pick up a booster pack which features a 10 day EXP Boost, 10 day Rep Boost; 200 coins, one Loot Crate and 1 Key and a Moon Viper skin for Khaimera.